And they’d say, “Well, you could have fooled me!” (or something to that effect). But, now, I’m not so sure how to respond to “You sure don’t look your age.” What does that mean, anyway? That I don’t resemble the physical stereotypes of senior women? That my hair is not thinning? My skin not sagging? LOL My eyes not squinting or not wearing trifocals a mile thick? My clothes outdated? My bones breaking? (Oops, that would be a “yes.”) My hip or knees buckling? Is it truly a good thing to have folks constantly move the goalposts? You know, 50 is the new 60. Or 70 is the new 80. Like the next woman, I want to believe that I’ll outlive my mother (She died just short of her 92nd birthday) and that I’ll be healthy with all my faculties intact. The memory thing is a question mark. But what’s wrong with looking our age? Aren’t the lines on our faces symbols of lives well lived and the wisdom that accompanies decades of experiences, failures and successes, love and loss? Full disclosure: I do stare at young women’s unblemished legs, their unlined faces, muscular arms often tattooed, and I do get a modicum of comfort knowing that they, too, will be seniors before they know it. But that’s a cop out, really. I want to be able to embrace my body (and my spirit) and to wear all the scars with pride. How to proceed: One strategy is to befriend younger women. Actually, that’s easy to do because the pool of women in their 70s+ is beginning to diminish. These younger women can keep us up to date, so to speak, about what life is like today for them and can, in many ways, use our experiences to enhance their own. I often find myself channeling my mother and her generation, saying things like, “Well, when I was _______.” Or “Back in the day, we ______________.” It does peg us as Boomers but, hey, I’m thankful I grew up when I did and felt the strength of being able to make changes in our world. That optimism is currently in short supply. I realize this isn’t always easy. I took a class in active listening when my son was maybe five (He’s pushing 45 now) and thought I had this whole “Say what you want to say in a nonjudgmental way” all wrapped up. LOL. It has taken me maybe 60 years to refine this way of communicating and up until this moment to use it more than—I don’t know—80 percent of the time. And give this a try: To allay your fears of your demise, look back at, say, twenty year chunks of your life: 40 to 60 or 50 to 70. Consider all that happened—the fun, the accomplishments, the hard fought changes that made your life better. 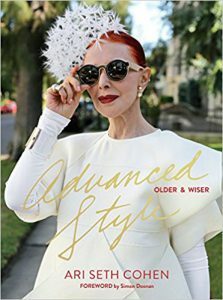 As a woman who just turned 73, I’m shooting for at least another twenty years. And that gives me relief, knowing that there is still much ahead—so much to look forward to. Here I go. Why don’t you join me? I digress. Maybe it’s my attempt to make a serious subject into a lighter one. But there’s no way. Teen suicide is serious: dead serious. Whether we like it or not, our kids are attempting suicide and, sadly, completing suicide at record numbers. Suicides among girls ages 15 to 19 reached a 40-year-high in 2015. That number doubled between 2007 and 2015. We can never know for sure, but the best estimates show that 5,240 teens attempt suicide every day. More than 5,000 in grades seven through twelve die every year. I was sure she was wrong; sadly, she was not. Libraries, she said, are the home for Dead Serious. Again, she’s proven to be right. Now, I don’t get the difference between taking out your library card and checking out a book or standing in front of a bookstore salesperson and buying a book. I mean, neither knows you and is probably too busy multi-tasking to pay much attention. At this point, I’m going to plug away. I’ve decided to focus on main libraries in major cities rather than market to a zillion smaller towns around the country. NewShelves sent me an Excel sheet a million miles long with contact information for librarians who buy books to add to their collections. It would take me the next year to get in touch with each one. A Herculean task I’m not about to undertake. No, teen suicide is not a happy subject. Reading a book on the subject can be a challenge. 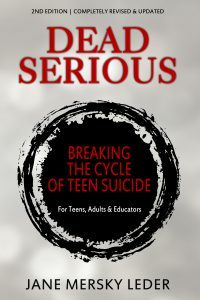 But Dead Serious revolves around the stories of teens in their own words, all kinds of strategies for breaking the cycle, song lyrics, and new chapters on bullying, LGBTQ teen, successful suicide prevention programs, and more. 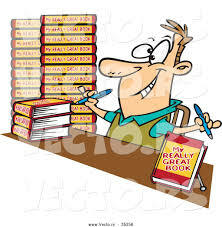 Authors assume their work is done once they’ve birthed a new book and put it out into the universe. The hard truth: their work has just begun. In 2015, author Noah Charney wrote a piece for The Atlantic in which he declared the author book tour gasping for air but not quite a relic of the past. In recent years, and especially since the recession of 2008, when author advances shrunk and publishing had to tighten its collective belt, one of the first things to go were book tours (not to mention the all-but-extinct beast called the “book release party”). Charney was one of the “lucky” authors who still got to be sent on tour by his publisher. But in this new, more austere era, publishers only regularly pay to send authors who are compelling public speakers, authors with large established audiences who are guaranteed to sell well and therefore cover expenses (the James Pattersons, Gary Shteyngarts, J.K. Rowlings, and so on), or authors with a high profile that extends beyond books (such as actors, athletes, comedians). Publishers might send the odd debut writer, in hopes of more media coverage, but it’s no longer a given. So, what’s a mid-list author to do? Give up? Nope. Not me. I may be a realist but I’m not a quitter. Hmm . . . I don’t know about the “social media experience” deal, but over the course of a month, I guest blogged, had my book reviewed and/or had feature interviews on 16 book/author blogs. In truth, Pump Your Book had the blog contacts and did the leg work. I, on the other hand, spent a chunk of time writing unique guest blogs and answering interview questions. When I started the “tour”, the paperback version of Dead Serious ranked #2 on the Amazon Books > Teens > Social Issues > Suicide key word string. The Kindle version ranked #6. So, was the “tour” a success? I’d have to answer “yes.” It sustained interest when many books lose their readership after the blush of initial success. Now, the trick is to figure out how to keep those cards and letters coming. Stay tuned.